Date night or any night, Fandango has all your movie watching needs covered! With showtimes and tickets for over 26,000 screens across the United State, they have made movie watching easier than ever! What’s more, you can even preview movies and purchase your movie tickets ahead of time, so you don’t have to wait at the theatre! Buy a Fandango gift card and enjoy the same great movies- at a discounted price! Great movies, no wait, lower prices- what’s not to love? Finally, a night at the movies doesn’t have to put a dent in your wallet! Over 36 million moviegoers per month use Fandango to both preview movies and purchase tickets. With Fandango, you can watch trailers, movie clips, insider news and expert commentary, any time you choose. Once you’ve brushed up on the latest movie news and previewed a few trailers, you’ll be all set for a night out at the movies. Whether you’re a movie buff or just like to go to an occasional show, this is a great card to own! Purchase your Fandango gift card today and can catch up on all the new releases while saving money! What better way to enjoy a weeknight than to go to the movies? Unfortunately, once you buy your popcorn, snacks, and beverages, it’s expensive! It all adds up. And fast! Well, the great news is, you can purchase a discounted Fandango gift card and pay less! Wouldn’t it be great to go to the movies without feeling broke? Now you can! And that’s not all. Because gift cards are a type of currency, you can use your card anytime. Just think, if you buy one with a high enough value, you can use it many times and rest assured that you’re saving money each and every time you go to the movies! Saving money is important, right? Why pay more money for movies than you have to? Buy your Fandango gift card today and start saving money right away! But the savings don’t have to end there! Cards2Cash offers an extensive selection of discounted cards for lots of retailers and websites! If you want to save more money every day, then be sure to check out our listings for Cinema Café, AMC Theatre, and Regal Cinema and more! Whether you’re shopping for yourself or for someone else, the savings are phenomenal! 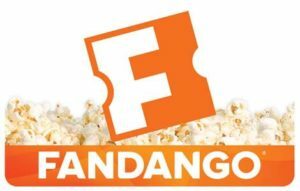 Do you have a Fandango gift card that you haven’t used, and you think you might like to sell? Sell it to us and we’ll turn that unwanted plastic into money! Cards2Cash pays the highest possible price for gift cards.If interested, visit one of our retail locations to find out exactly how much money you can receive from your unwanted gift cards OR you may fill out our easy online form, and we’ll get back to you as quickly as possible with an offer for your card. Whether you want to buy a gift card or sell one, Cards2Cash has you covered.